Have you ever wanted to learn to play an instrument? If so, which instrument would you choose? Would it be guitar, drums, the violin, the piano, the harmonica, or perhaps a classical instrument? 1. Your choice of music. It is more likely that you are going to want to play the kind of music you enjoy listening to when learning a new instrument. Of course any instrument can add flavor to any sound so don't limit yourself. 2. Time. When acquiring any new skill practice, persistence, and of course sufficient time is necessary. How much time can you devote each day or week to practicing and mastering the mechanics involved in playing the instrument? 3. Cost. Depending on your skill and comfort level, you can spend a whole lot or a whole little and the quality will reflect. There are however many entry-level instruments that are quite reasonably priced for someone with a new ear to music. At any rate you will be required to spend anywhere from $100 for a decent guitar and around $300 for a basic drum kit. 4. Patience. There is no question that patience is required when developing a new skill. It seems many of us while in the presence of another playing an instrument, we wish we could just pick up the instrument and play along as smoothly. In the beginning this may not be our reality. In fact through many painstaking hours of repetition and sore fingers, do we receive the satisfaction of playing automatically. 5. Instruction. 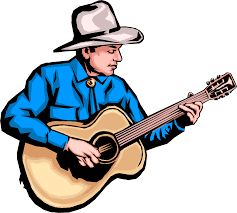 There are many self-taught singers and guitar players. Many have learned to sing or play by ear alone. It is argued that natural talent plays a role in the ease and success of mastering. But, at some point even the best of the best have recognized the importance of learning and developing skills by means of various learning materials or home video lessons. 6. Try it out. By all means spend some time at a music store. Try out and ask as many questions as you want to the store staff. Let them know you are musical needs and goals and you will find this very helpful. Choose what feels right. 7. Commit. Taking the time and explore your options before selecting a musical outlet is key. However, once you have decided on an instrument it's time to get down to business. That means setting aside time for practice and or video lessons as well as setting small achievable goals. 8. Play in Public. If there's an open mic or jam in your area, get out play in front of others. The more reasons you have to play, the more effort and commitment you put into getting better. 9. Have Fun. It does take work to learn a new instrument, and tedious practice will play a large part. That being said, make the journey fun. Play along with music or back tracks in order to get your rhthym and timing down. If you enjoyed this short discussion and would also recommend you read "How To Play Guitar"